Embedded Systems, Information Security, Cryptanalysis, Mixed Criticality Systems and Parallel Computing Systems. Khurram Bhatti is a Marie-Curie Research Fellow of KTH Royal Institute of Technology, Stockholm, for postdoc (2013-2014). His current research interests include embedded systems, information security at both hardware & software levels, Cryptanalysis, Mixed Criticality Systems and Parallel Computing Systems. 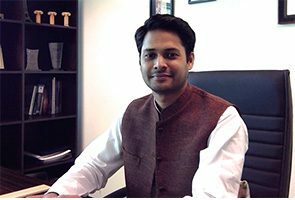 Over the last 6 years, Khurram has taught at the University of Nice-Sophia Antipolis, France, and CIIT Lahore, Pakistan. He has been working with prestigious European research institutes like INRIA, Lab-STICC, KTH, École Polytechnique de Paris, and LEAT research laboratory. His research work has been published in international peer-reviewed journals and conferences. Khurram holds a PhD in Computer Engineering and MS in Embedded Systems from the University of Nice-Sophia Antipolis, France. Besides his academic & research activities, Khurram is also the 2015 Chairperson for Marie-Curie Alumni Association (MCAA) South Asian Chapter. Khurram Bhatti is currently the Director of Embedded Computing Laboratory at Information Technology University, Lahore. Method for scheduling with deadline constraints, in particular in linux, carried out in user space. US Patent (US 9582325 B2), 2017. M. Mushtaq, A. Akram, M. K. Bhatti, V. Lapotre, G. Gogniat. NIGHTs-WATCH: A Cache-Based Side-Channel Intrusion Detector using Hardware Performance Counters. ACM/IEEE International Symposium on Computer Architecture (ISCA) 2018, Hardware and Architectural Support for Security and Privacy (HASP), to be held in Los Angeles, California, USA, June 2-6, 2018. M Mushtaq, A Akram, MK Bhatti, RNB Rais, V Lapotre, G Gogniat. Run-time Detection of Prime+Probe Side-Channel Attack on AES Encryption Algorithm. In the Proceedings of IEEE Global Information Infrastructure Symposium (GIIS), October 23-25, 2018, Thessaloniki, Greece. M Mushtaq, A Akram, M Bhatti, M Chaudhry, M Yousaf, U Farooq. Machine Learning For Security: The Case of Side-Channel Attack Detection at Run-time. In the proceedings of 25th IEEE International Conference on Electronics, Circuits, and Systems (ICECS), December 9-12, 2018, Bordeaux, France. M Mushtaq, A Akram, M Bhatti, V Lapotre, G Gogniat. Cache-Based Side-Channel Intrusion Detection using Hardware Performance Counters. 16th International Workshops on Cryptographic Architectures Embedded in Logic Devices (CryptArchi), June 17-20, 2018, Guidel-Plages, Lorient, France. U Farooq, H Mehrez, M.K. Bhatti. Comparison of direct and switch-based inter-FPGA routing interconnect for multi-FPGA systems. IEEE (CAS) 12th Int’l Conference on ReConFigurable Computing & FPGAs (ReConFig), 2017. M. Mushtaq, A. Mukhtar, M. K. Bhatti, V. Lapotre, G. Gogniat. Improving Confidentiality Against Cache-based SCAs. ACM WomENcourage, 2017 Barcelona, Spain. M. Mushtaq, M. K. Bhatti, V. Lapotre, MA Mukhtar, G. Gogniat. A Decade of Cache-based Software Side-Channel Attacks & Mitigation Techniques. Elsevier’s Journal of Computers & Security. Under review since February 2018. Ayaz Akram, Maria Mushtaq, Muhammad Khurram Bhatti, Vianney Lapotre, Guy Gogniat. Meet the Sherlock Holmes' of Information Security: Survey of Cache SCA Detection Techniques. In the EURASIP Journal on Information Security (JINS) . Under review since August 2018. Muhammad Asim Mukhtar, Maria Mushtaq, Khurram Bhatti, Vianney Lapotre, Guy Gogniat. FLUSH+PREFETCH: A Countermeasure Against Access-driven Cache-based Side-Channel Attacks. EURASIP Journal on Embedded Systems (JESY). Under review since July 2018. M. K. Bhatti, I. Oz, S. Amin, M. Mushtaq, U. Farooq, K. Popov, and M. Brorsson. Locality-Aware Task Scheduling for Homogeneous Parallel Computing Systems. Springer's Computing, 2017, ISSN:1436-5057, DOI: 10.1007/s00607-017-0581-6. U. Farooq, H. Mehrez, M. K. Bhatti. Inter-FPGA Interconnect Topologies Exploration for Multi-FPGA Systems. Springer's Journal of Design Automation for Embedded Systems (DAES), 2018. Isil Oz, M. K. Bhatti, Konstantin Popov, Mats Brorsson. Regression-Based Prediction for Task-Based Program Performance. In the Journal of Circuits, Systems, and Computers, 2018. S. Bilavarn, J. Khan, C. Belleudy, M. K. Bhatti. Effectiveness of Power Strategies for Video Applications: A Practical Study. Springer’s Journal of Real-Time Image Processing (JRTIP), pp. 1–10, ISSN: 1861-8200, 2014. DOI: http://dx.doi.org/10.1007/s11554-013-0394-6, IF: 1.156. M. K. Bhatti, C. Belleudy, M. Auguin. Hybrid power management in real time embedded systems: An interplay of DVFS and DPM techniques. Springer’s journal of Real-Time Systems (RTS), vol. 47, No. 02, pp. 143–162, 2011. DOI: http://dx.doi.org/10.1007/s11241-011-9116-y, IF: 1.0. M. K. Bhatti, C. Belleudy, M. Auguin. Two-level Hierarchical Scheduling Algorithm for Real-time Multiprocessor Systems. In the Journal of Software (JSW), vol. 3, No. 11, pp. 2308-2320, Academy Publishers, 2011. DOI: http://dx.doi.org/10.4304/jsw.6.11.2308-2320, IF: 2.013. M. Hassan Aslam, Umer Farooq, M. Naeem Awais, M. K. Bhatti, and Naeem Shehzad. Exploring the Effect of LUT Size on the Area and Power Consumption of a Novel Memristor-Transistor Hybrid FPGA Architecture. In Springer's AJSE journal, pp 1-15, 2016. Umer Farooq, M. K. Bhatti, M. Hassan Aslam. A Novel Heterogeneous FPGA Architecture Based on Memristor-Transistor Hybrid Approach. In the proceedings of 11th International conference on Design & Technology in Integrated Systems in Nanoscale Era (DTIS) 2016, April 12-14, Istanbul, Turkey. Jabran Khan, Sebastien Bilavarn, M. K. Bhatti, Cécile Belleudy. Energy Analysis of a Real-time Multiprocessor Control of Idle States. In the proceedings of 3rd International Conference on Pervasive Embedded Computing and Communication Systems (PECCS’13), 2013, Barcelona, Spain, pp: 125-130, Standard: 978-989-8565-43-3. M. K. Bhatti, C. Belleudy, M. Auguin. An Inter-Task Real-time DVFS Scheme for Multiprocessor Embedded Systems. In the proceedings of International Conference on Design and Architectures for Signal and Image Processing, DASIP'10, 2010, UK. M. K. Bhatti, C. Belleudy, M. Auguin. Power Management in Real-time Embedded Systems through Online and Adaptive Interplay of DPM and DVFS Policies. In the proceedings of Int’l Conf. on Embedded & Ubiquitous Computing, EUC'10, 2010, Hong Kong. M. K. Bhatti, M. Farooq, C. Belleudy, M. Auguin, O. Mbarek. Assertive Dynamic Power Management (AsDPM) Strategy for Globally Scheduled RT Multiprocessor Systems. In the proceedings of Power and Timing Modeling, Optimization and Simulation, PATMOS'09, and Integrated Circuit and System Design, chapter-8, Springer LNCS Vol. 5953=2010, ISBN 978-3-642-11801-2, Pages 116-126, 2010. K. Ben Chehida, R. David, F. Thabet, M. K. Bhatti, M. Auguin, C. Belleudy, A.M. Déplanche, Y. Trinquet, R. Urunuela, F. Broekaert, V.Seignole, A. M. Fouillart. PHERMA, A global approach for system-level energy consumption optimization for Real-time heterogeneous MPSoC architectures. In Proceedings of Low Voltage & Low Power Consumption Conference, FTFC’09, 2009, Switzerland. M. K. Bhatti, M. Farooq, C. Belleudy, M. Auguin. Improving resource utilization under EDF-based mixed scheduling in multiprocessors real-time systems. In the proceedings of IFIP/IEEE International Conference on Very Large Scale Integration, VLSI-SoC'08, 2008, Rhodes Island, Greece. M. K. Bhatti, C. Belleudy, M. Auguin. Controlling Energy Profile of Real-time Multiprocessor Systems by Anticipating Application's Workload at Runtime. In the proceedings of SYMPosium on new Machine Architectures SympA’13, 2009, Toulouse, France. M. K. Bhatti, M. Farooq, C. Belleudy, M. Auguin. Mixed Scheduling for Improved Resource Utilization and Energy Consumption in Real-time Multiprocessor Systems. In the proceedings of Sophia Antipolis MicroElectronics forum, SAME'08, 2008, Sophia Antipolis, France. Recipient of HEC's Pakistan Program for Collaborative Research (PPCR) mobility grant for 2016. Career-Startup Research Grant by the Higher Education Commission of Pakistan. Chair, Marie-Curie Alumni Association South Asia (MCAA-SA) Chapter. IEEE International Conference on Emerging Technologies, ICET 2014, Islamabad, Pakistan. IEEE 17th International Multi-topic Conference, INMIC 2014, Karachi, Pakistan. 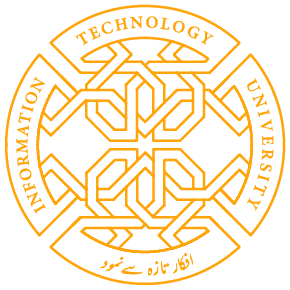 IEEE 10th, 11th, and 12th International Conference on the Frontiers of Information Technology, FIT, Islamabad, Pakistan.